BD FACS™ Sortware sorter software provides comprehensive control of the cell sorter from configuration and compensation setup to acquisition, sorting, and analysis, making it easy to customize the instrument for specific applications. 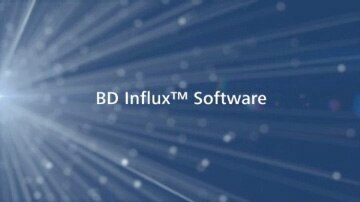 These webinars present information about BD FACS Sortware sorter software and is intended for anyone new to BD FACS Sortware. BD FACS Sortware fundamentally improves the way cytometer software supports cell sorting. The software captures all the information about an event such as time, position in the sorted drop, position relative to other events, firmware classifier status, etc, and makes it available to researchers on demand as needed for quality control, or for post-sort analysis. The software uses industry-standard protocols and manages hundreds of system parameters, giving researchers a higher level of control and engagement with the instrument to support advanced research applications. To maximize reproducibility and accelerate study, researchers can save and recall previous workspaces, configurations, instrument states, and parameter settings. A multitasking capability allows researchers to sort cells from a sample, record the information in a data file, and work with a previous data file—all at the same time. Software wizards and controls assist researchers to classify cell populations, perform compensation, monitor sorting, and analyze results. Hierarchical gating tools make it easy and intuitive to classify cell populations. The automatic compensation wizard creates a spillover matrix based on user-selected population controls and automatically calculates a compensation matrix to align populations. Sort controls and event counters monitor sorting, with the ability to pause, resume, reset, and stop the sort streams individually or all at once. Data and sort analysis tools provide robust statistics on cell populations and sorting quality control at the individual cell level. To support analysis, BD FACS Sortware lets researchers visualize data from experiments in a variety of rich output formats. Output formats include histograms, overlay histograms, and dot, density, and contour plots—all with linear, log, or biexponential (Logicle) scaling. Support for standard software protocols allows researchers to export both graphical data and text into standard productivity software (such as Microsoft® Office®) for presentation or publication. Results can also be exported and imported as FCS data files for other software applications. BD FACS Sortware has a simple, intuitive workflow, and its familiar Microsoft® Windows® interface allows researchers to focus on their experiment rather than on commands and dialog boxes. Researchers can perform cytometer setup, compensation, data acquisition, gating, analysis, and sorting progressively— or they can choose to return to any step for instant adjustment. Microsoft, Windows, and Office are registered trademarks of Microsoft Corporation.